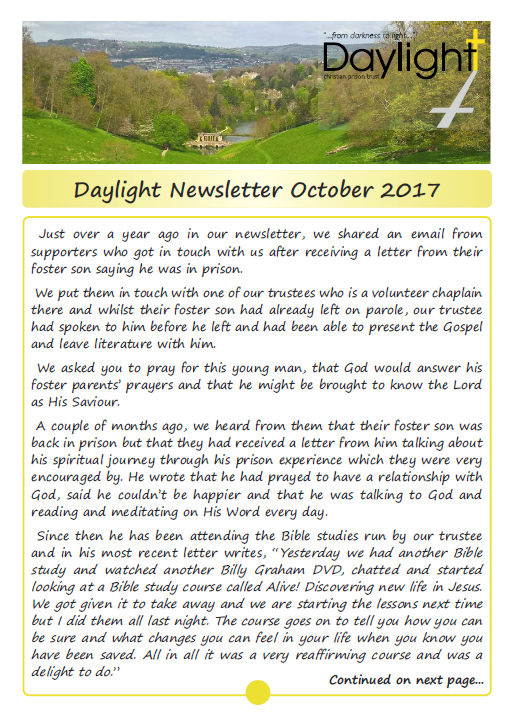 Below is our October Newsletter. 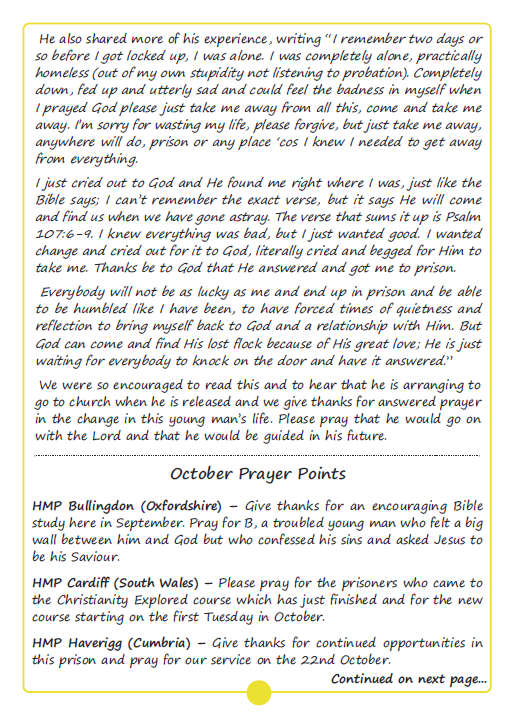 As well as items for prayer, this month we share some extracts from a prisoner’s letters which have been a real encouragement to us and give an insight into some of the things prisoners face. The work in the North continues to develop and we are thankful for answered prayer in another Prayer & Support Group being formed in West Yorkshire. 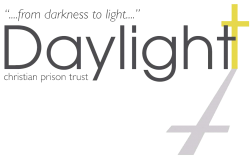 We have also recently been approached by a prison in another part of the north and would value prayer for one of our volunteers as he meets with the Managing Chaplain. 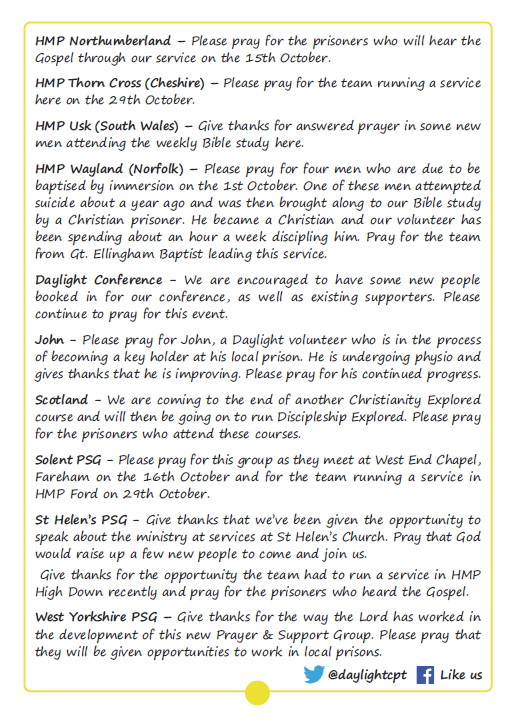 This year’s Prisons Week starts on Sunday 8th October and if you haven’t already downloaded a copy of our Prisons Week Prayer Diary, it is available at http://bit.ly/2wYzpf9.